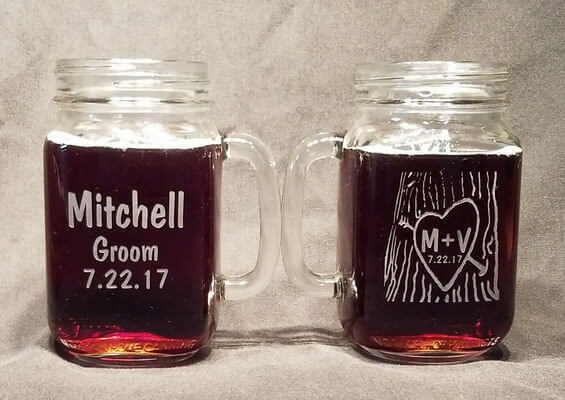 This charming set of 2 personalized Rustic Wedding Drinking Jars comes with the bride's and groom's name, title and date on one side and the Tree Trunk design on the reverse with the bride and groom's initials and their date. If you would like just the Tree Trunk design we do offer it as one of our stock designs on any glass; See the standard Drinking Jar page. 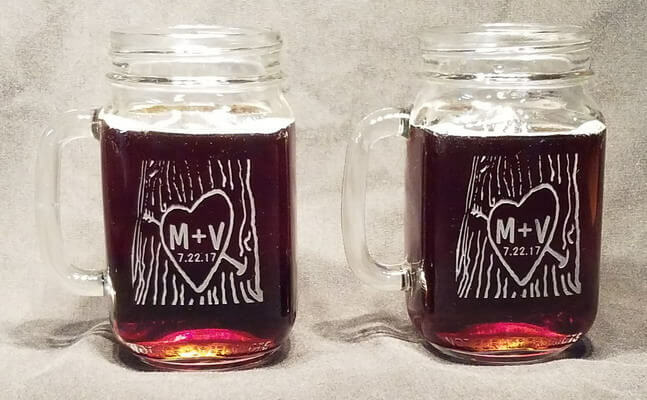 These engraved Drinking Jars have a rustic, Western look to it. Expect tiny bubbles and wrinkles as it adds to the rustic look. 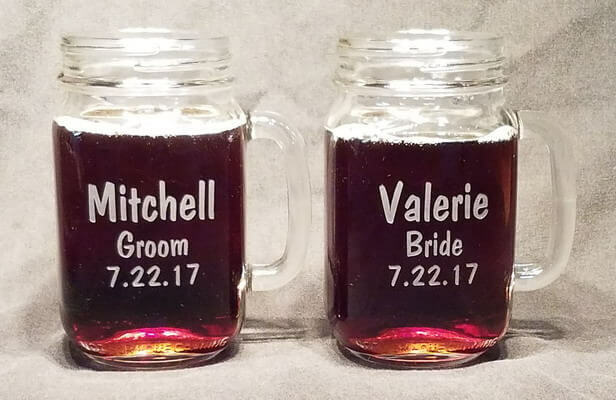 Each engraved Drinking Jar is 5.25 inches tall and holds 16 ounces.